Come to the free PSA event to have your blood tested for prostate cancer. Tests take about 10 minutes and there is no need to book. Just turn up on the day. Don’t die of embarrassment! That is the message to men throughout the West Midlands to mark Prostate Cancer Awareness Month in March. It claims 10,000 lives a year but it seems that many men are still putting off a visit to their doctors for a very quick test that can tell them if they are in the clear or if they need treatment. And it is this delay that is responsible for many prostate cancer deaths according to Consultant Urologist Mr Vivek Wadhwa. Now Mr Wadhwa, who practices at Spire Parkway Hospital in Solihull, is urging everyone to bring the subject into the open in order to encourage men to ‘take the test’. "There isn’t any point skirting around the subject, the most common test involves a blood test and sometimes a digital examination. That means the doctor feeling inside the man’s back passage – it’s a simple as that! It is common practice for the doctor, usually takes less than a minute, is relatively painless and can save your life – so what are you waiting for! "Many men are embarrassed by the thought of this and so put off the test. 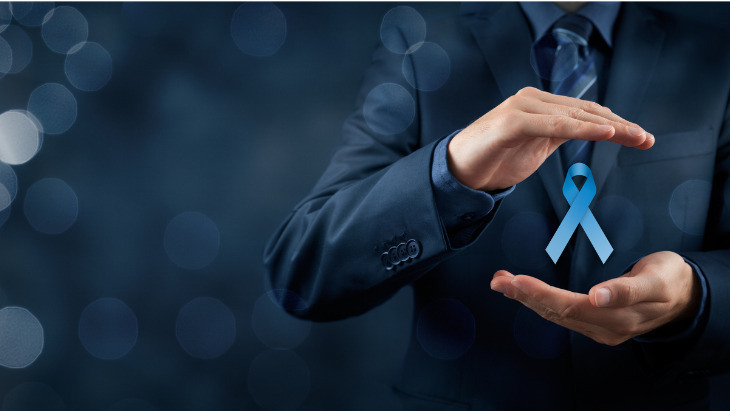 I want people to use Awareness Month to discuss prostate cancer and help men overcome their reluctance to get themselves tested," said Mr Wadhwa. The causes of prostate cancer are largely unknown but what is certain is that chances of developing it increase in men over 50 years of age. Although it is more common in men of African-Caribbean or African descent it is actually less common in men of Asian descent. "A blood test known as a prostate-specific antigen (PSA) test can be the first step to checking for cancer but this can only supply an indicator. "The problem with the PSA test is that levels can be raised by non-cancerous growths or urinary infections of the prostate. But it is better to be safe than sorry and, if necessary, a follow-up test will then allow doctors to be much more exact in their diagnosis. "The good news is that, if spotted in time, prostate cancer is very treatable with latest figures showing that 84% of those treated live for 10 years or more after treatment," Mr Wadhwa added. For further information please call 0121 704 5530, or submit an online enquiry.